MS Kong Harald not only represents the Norwegian Royal Family with its name, but also its interior design. Built to celebrate Hurtigruten’s 100th anniversary, the packet ship now regularly cruises along the Norwegian coastline. 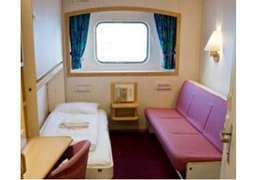 On board the MS Kong Harald you can choose between suites, inner cabins and outer cabins. Some cabins are barrier free. 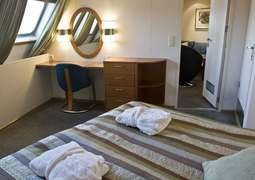 All cabins are comfortable and offer everything you need for a packet ship cruise. With its name and an interior design spotted with lilies and crowns, the MS Kong Harald not only honors the Norwegian Royal Family, but also pays tribute to other important Norwegian figures. The café was named after the explorer, Roald Amundson, who was the first to travel to the South Pole, and the bar was named after Nobel Prize winner, Fridjof Nansen. The ship also features a restaurant and two panoramic salons. Delicious buffets await you for breakfast and lunch, as well as three-course dinners every evening. Relax on the sun deck or in the sauna or exercise in the fitness centre. 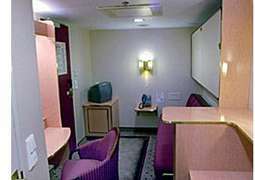 A play room for children, numerous slot machines, a shop and an internet-café can all be found on board. Rent a bicycle on board to use when exploring harbors. Enlightening presentations on the surrounding areas as well as various excursions to the areas themselves are popular activities. Land excursions should be booked in advance. Entertainment in the form of music and dancing helps to round out your holiday relaxation after days filled with nature exploration. A car deck on board the MS Kong Harald allows you to have even flexibility on your holiday, should you desire to bring your car along. Relaxation and the enjoyment of nature have always been priorities with Hurtigruten. We therefore believe your time on board should be spent at your leisure. As the weather can be unpredictable at times, we advise all passengers to bring waterproof clothing. Gloves, scarves, hats, and warm layers of underclothing should not be forgotten, especially during winter months. Sturdy footwear and hiking sticks are recommended for land excursions. Among the most important items to bring are sunglasses, as ultraviolet rays reflected by ice and snow can be dangerous for the eyes. 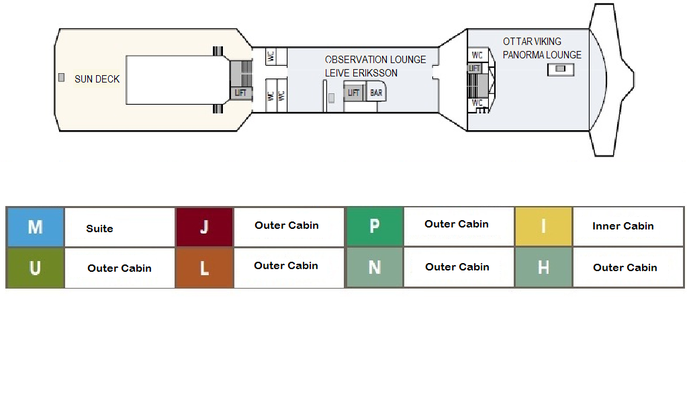 Languages spoken on board are English and Norwegian. Computers are available in the Internet Café.